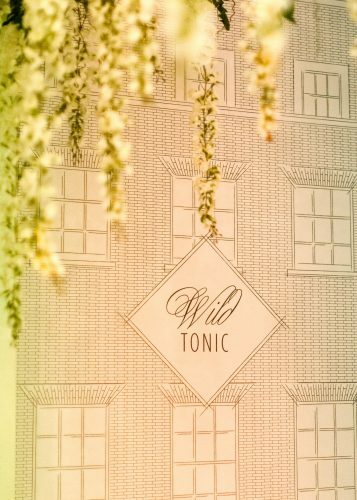 The house itself offered a series of spaces where guests were encouraged to explore and discover the beautiful surprises that laid within. 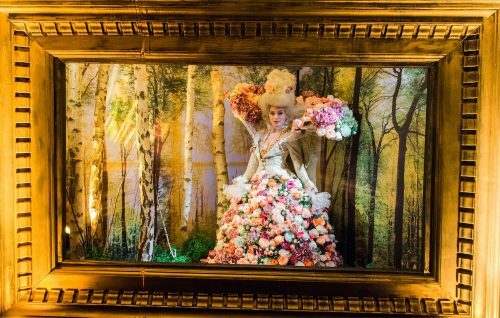 As guests entered, they were greeted by an elegant, life-sized, living & breathing Gainsborough-esque flower portrait set within a grand, gilded frame. 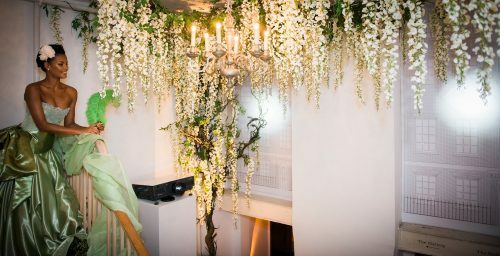 A Tim Walker inspired model lolling gracefully over the staircase which was adorned with cascades of loose & romantic flowers welcomed guests who made their descent down narrow stairs into a room filled with a huge tree laden with mountains of beautiful white wisteria. A monochrome dining room with a custom-designed black gloss floor and stunning eglomise S-shaped dining table was loaded with Italian crystal candelabra and massed designs of white roses. 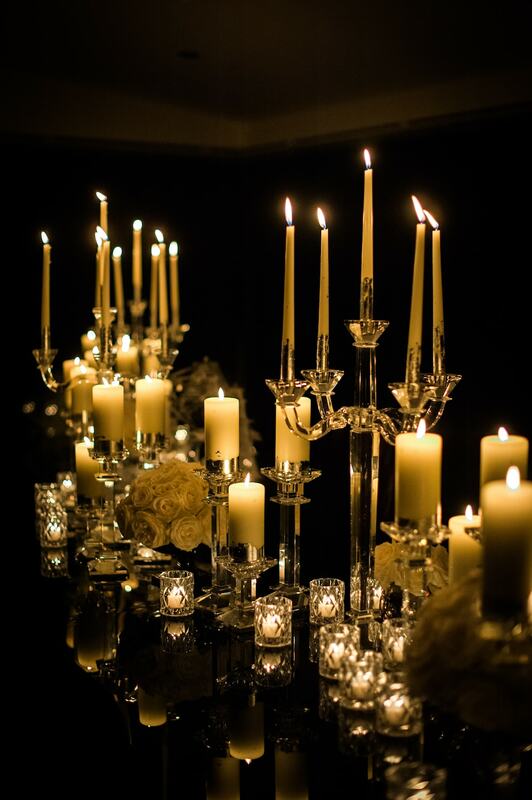 Projections of fireworks burst overhead as guests experienced the most exquisite dining experience. 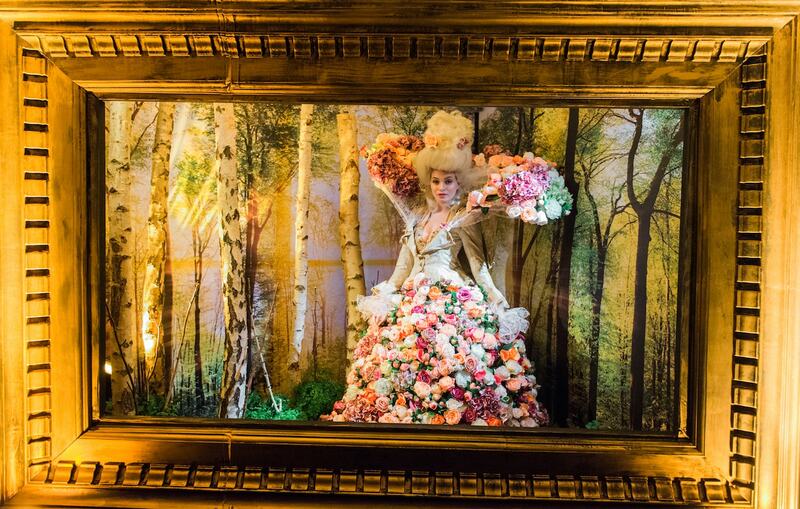 A book-lined study was nestled off a secret passage and if discovered, would reveal a Vogue illustrator working at his desk. 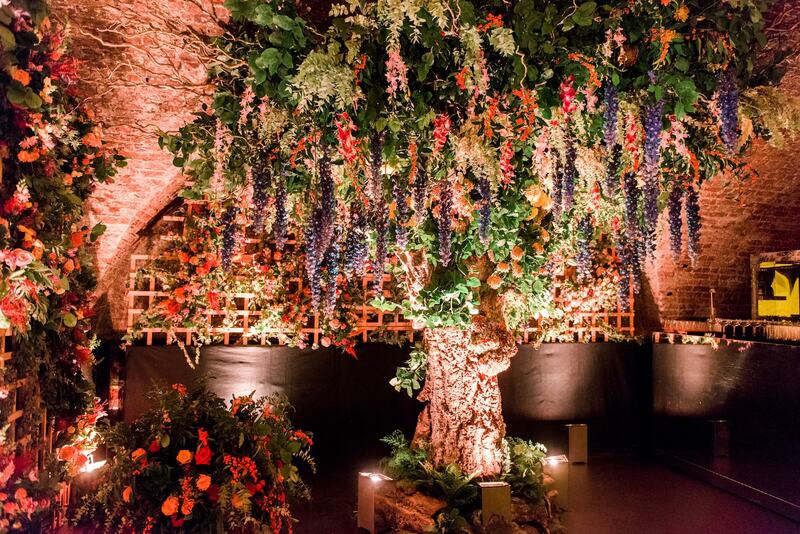 Tucked in the basement of the house, an imaginary garden was clad with trellis that had been adorned with flowers and then filled with the most incredible, enchanted tree. 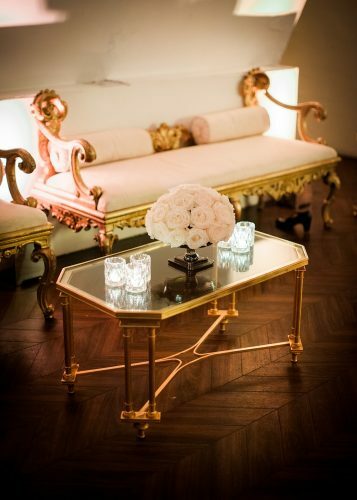 Here, guests could discover intimate performances and sip couture gin cocktails in magical surroundings. A theatre, tucked neatly away from the central entertaining space played host to a series of captivating and immersive performances. Ballet dancers pirouetted next to lavish swans created from fresh flowers and trumpet players improvised with tap dancers. 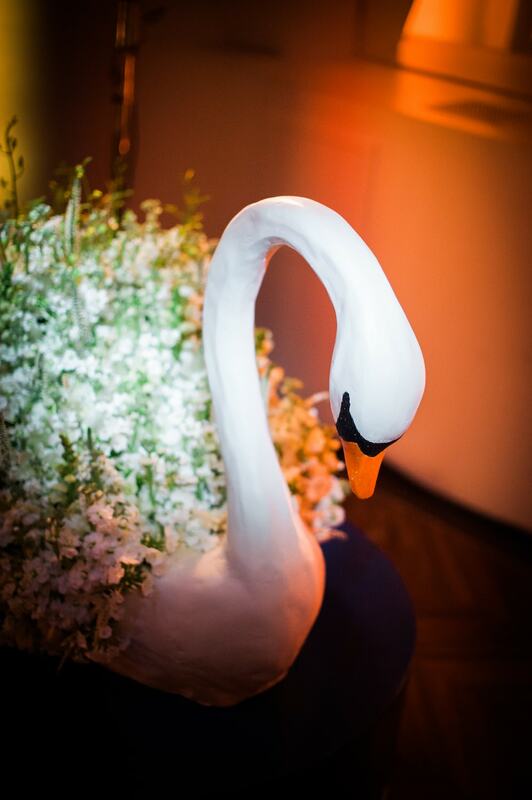 Each act that populated our intimate soiree performed only once to create an emotional ripple of excitement through every guest.